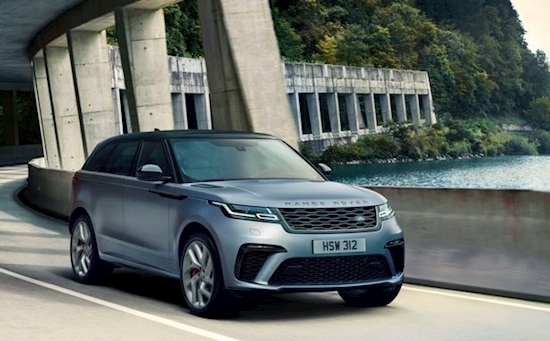 THE sublime Range Rover Velar has just become even more enticing with the introduction of a limited-edition, high-performance, top-spec model. The SVAutobiography Dynamic Edition, as the name hints at, has been given the Land Rover Special Vehicle Operations treatment. That means this beast of a beauty from the renowned British marque is powered by a 5.0-litre V8 supercharged petrol engine, mated to an eight-speed automatic transmission, developing 550PS. It is capable of sprinting to 60mph in just 4.3 seconds and redlines at 170mph, which isn’t too shabby for an SUV that weighs in at nearly 2.2 tonnes. As this is the most powerful Velar, it’s probably just as well that the SVO team have also given the brakes, suspension set-up and all the electronic driving and safety systems their attention, too. In fact, SVO engineers spent 63,900 hours fine-tuning the unique calibration to optimise the ride, handling and responsiveness. Buyers will probably be enjoying the drive too much to notice that the average fuel economy is only 23.9mpg, which equates to CO2 emissions of 270g/km. After all, the uprating and fine-tuning is aimed at ensuring the car blends the personalities of a performance car with the go-anywhere capability of a luxury mid-sized SUV. And to emphasise the point, this Velar certainly has a sumptuous interior. 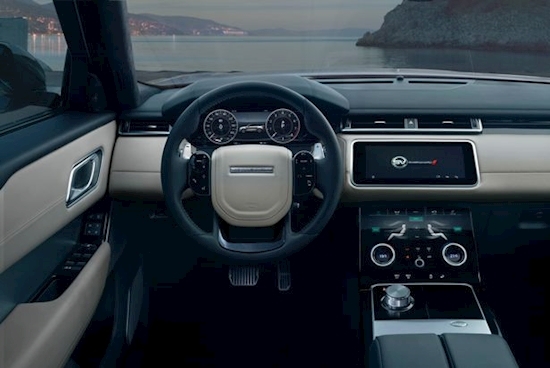 There’s plush, twin-stitched, quilted and perforated Windsor leather upholstery, a special, contoured, sports steering wheel and knurled aluminium infotainment controllers and rotary gear shifter. Exterior tweaks, meanwhile, not only make this model look more purposeful, they also optimise the aerodynamics and cooling performance. Highlights include a new front bumper with larger air intakes, a new grille, lower side mouldings and a revised rear bumper with integrated quad exhaust finishers. These are complemented by a striking black roof and lightweight, 21in, forged aluminium wheels housing red brake callipers. And just in case any bystanders are left in any doubt about how special this Velar is, the exhaust set-up provides a soundtrack with an unmistakable V8 rumble to match the performance. Priced from £86,120, the Velar SVAutobiography Dynamic Edition will only be available to buy for a year – to add to its exclusivity. 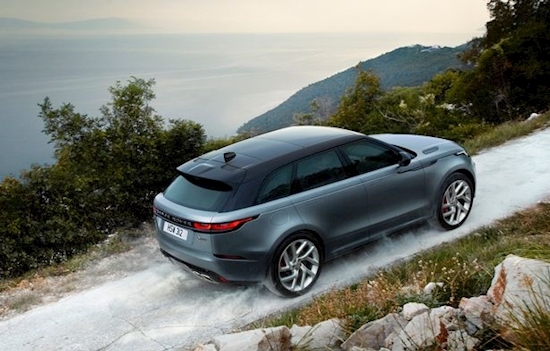 Jaguar Land Rover UK boss Rawdon Glover said: “The Range Rover Velar strikes a perfect balance between go-anywhere practicality, dynamic performance and relaxing comfort.